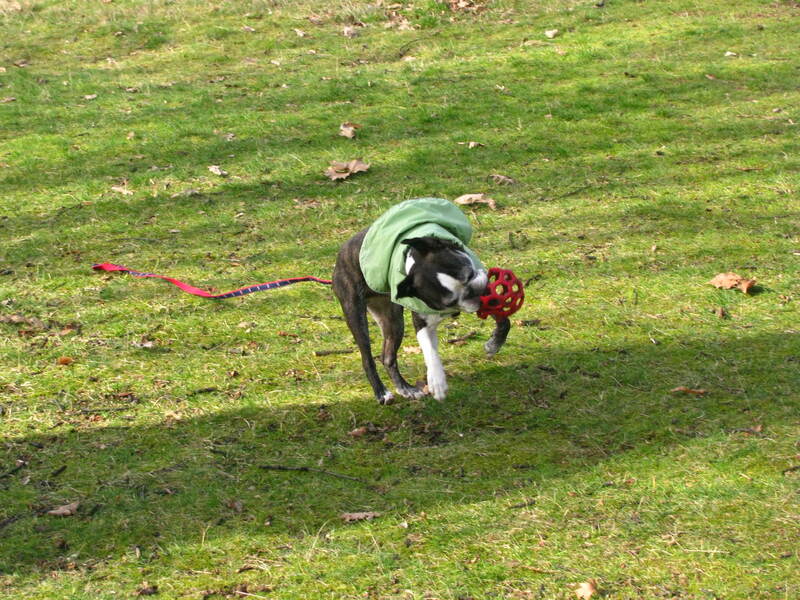 Yesterday we took Miles to Kensington Gardens for a stroll and red ball fun. It was a hit. He came home exhausted, but all smiles. Um, sir, that’s my red ball. Did you say something, squirt? After several minutes and some comedy, red ball was returned to Miles. That was the third incident in two weeks. Miles would like the mayor to take action. Is that a palace over there? Of course Kensington Palace didn’t hold his attention for long. I hope all of you had a wonderful Sunday. Miles wishes every day was Sunday. 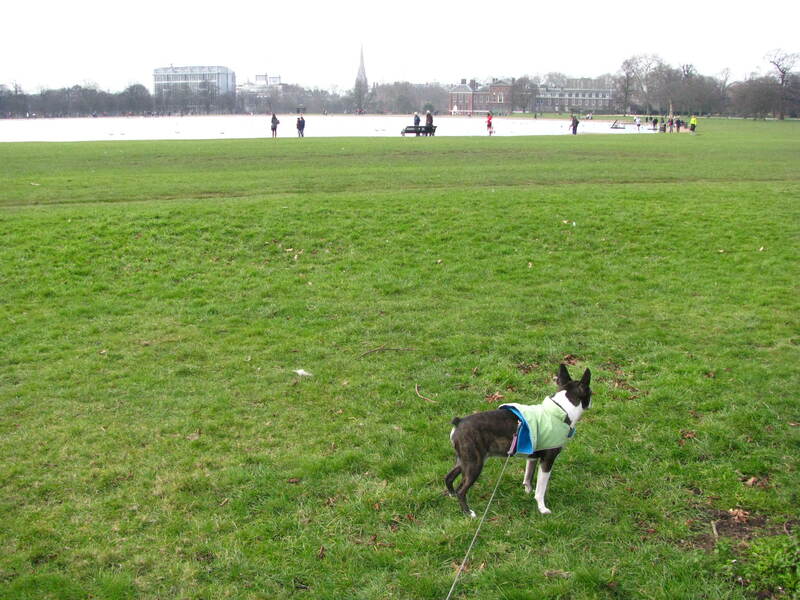 This entry was posted in London and tagged 50 Year Project, Blog, Blogging, Boston Terriers, Dogs, England, Humor, Kensignton Palace, Kensington Gardens, London, Photography, Photos. Bookmark the permalink. Oh Miles!!! You are way too cute!!! Miles loves to have fun and I loved that the rest of the day he was so exhausted I was able to get stuff done. Two hours in the park and he’s good for the day. I was wondering if there might be a ‘breed meet’ where you could go with Miles to meet other dogs like Miles and their owners. There’s a pug meet the first saturday of each month in Green Park. 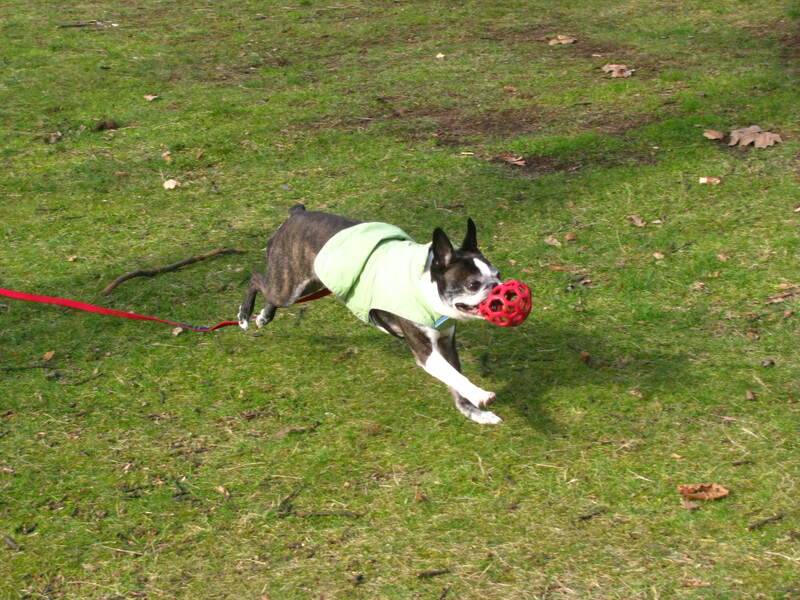 From what I’ve heard that aren’t too many Bostons around here. Saying that, there’s three in my neighborhood. 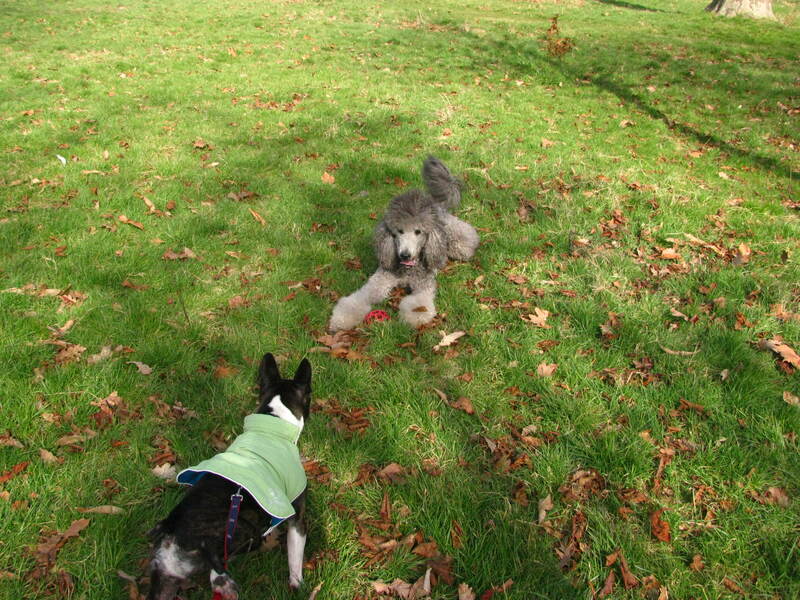 Miles loves to see his Boston cousins. We usually run into one each day. I should look to see if they have a group though. I may have to check out the pugs in Green Park. How adorable! Seems like Miles needs some lessons in standing up to bullies 🙂 Cool shots TBM. Yes he does. I am happy that he didn’t flip out though. Three years ago he would have caused a fight. He’s more mellow now that he’s ten. Miles was so disappointed the next morning when we went on his “ordinary” walk through London. He’s so spoiled and has no idea. Well, that’s my interpretation (but I have been known to lower the tone). …and I thought Miles was making a new friend. Sometimes it’s just not good to mess with someone else’s red ball. Glad to know the stroll was fun! The big dog was friendly enough–he just didn’t want to give the ball back but he was perfectly content to let Miles chase him. Not sure Miles thought the game was fun. 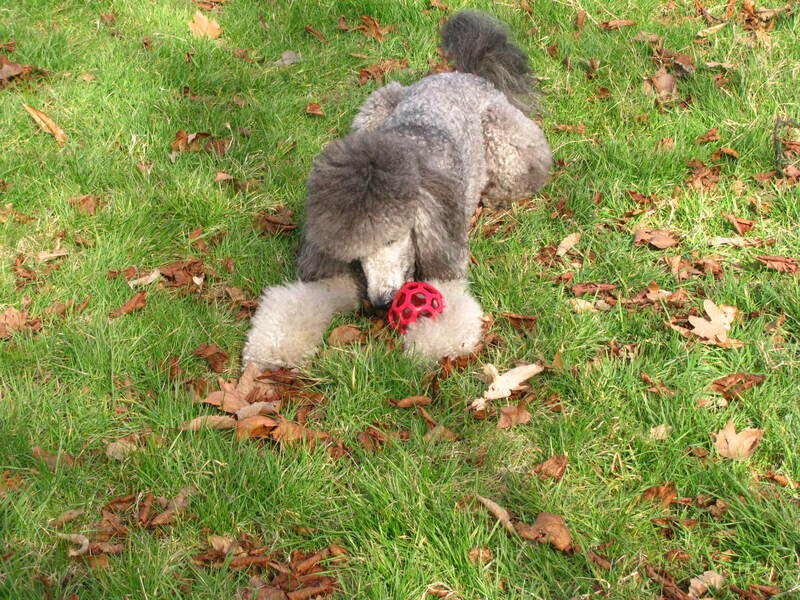 I remember the drama when someone stole one of my dogs ball… Lucky for you they didn’t get into a fight. I bet Miles is happy the weather is getting better. Miles is thrilled that it’s getting warmer. Yesterday he lazed about on his bed in the sun enjoying every warm second. This winter has been much colder than last year. Laughing so hard right now! So cute!! That was a fun post, totally made me think of my dog, which I’ve been missing very much lately. You know late at night when I was blogging. It would always be nice and quiet, but I could feel her presence hanging out with me. 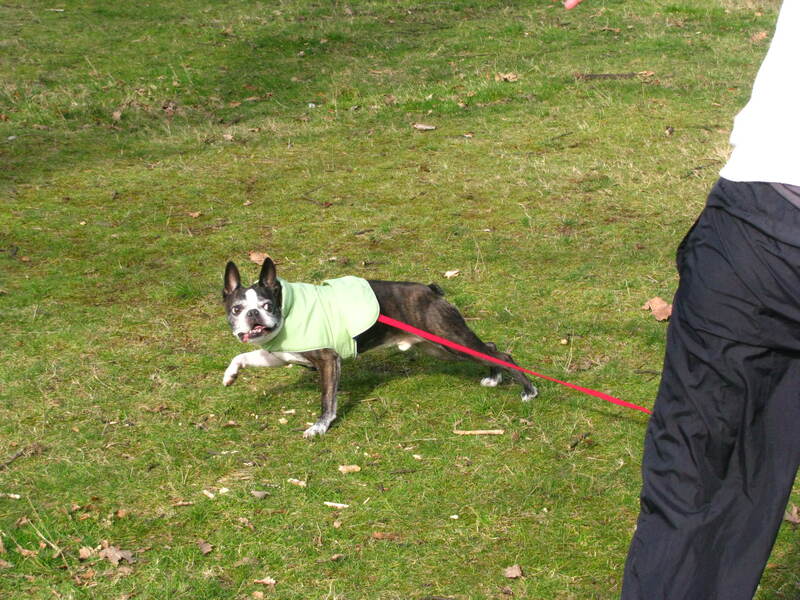 She totally loved chasing tennis balls in her youth, but if another dog got her ball duuuuuuuuuuude she’d probably chase her down and then give her the death stare before the get-my-ball-back mission would begin. Dogs … too funny. Miles doesn’t have the death stare with bigger dogs. He thinks he does though and I find that cute. I’m sorry about your loss–that’s never easy.